The week after Christmas Day saw some very special guests come to the St. Francis Retreat Center. 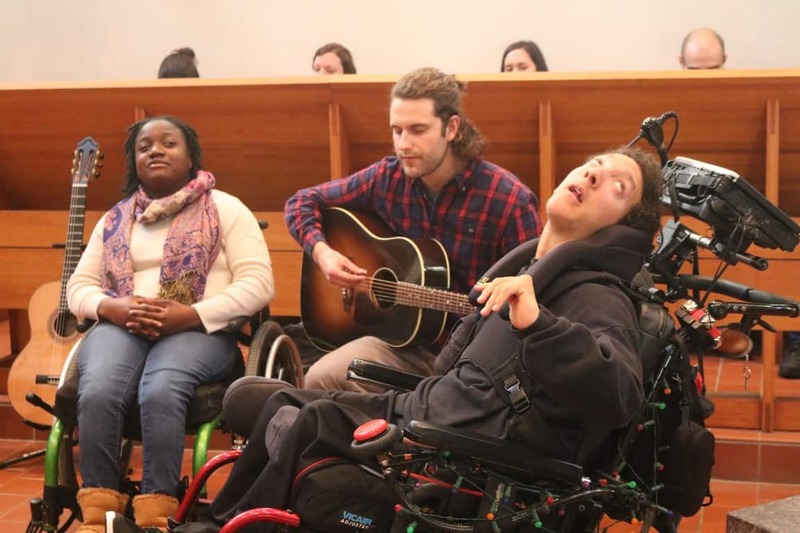 North Street Neighborhood of Durham, North Carolina has visited Mepkin on several occasions, and on this quiet week after the celebration of the birth of Christ, they took some time to make a retreat and share their musical talents at the Feast of the Holy Family. North Street Neighborhood is a unique and intentional community that works with Reality Ministries. The residents there are the most diverse you’ll find anywhere, with people from newborns to elders, married and single, renters and homeowners, students and workers, and a wide variety of ethnicities. What they have in common is a love for Christ and a desire to live as an inclusive community of people with and without disabilities. The daily rhythm of life at North Street includes work, play, celebrations, and most importantly, prayer. The needs of those with and without disabilities are valued, providing access to activities and meals, transportation to jobs and classes, wheelchair accessible homes, and a chance for everyone to bring their unique gifts to the fellowship. While visiting at Mepkin, some of the North Street Neighbors shared their musical talents once again with the Abbey during the Feast of the Holy Family. This was a much-anticipated blessing and was enjoyed by all present. North Street Neighborhood truly knows the meaning of community. We look forward to having them join us again soon. If you would like to learn more about North Street Neighborhood and Reality Ministries, visit http://northstreetneighborhood.weebly.com/ and http://www.realityministriesinc.org/ .